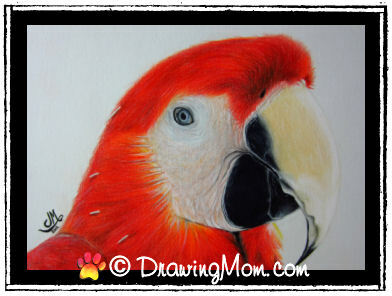 Below are some of the drawings & paintings I’ve done of birds. They are randomly displayed in the slideshow below. 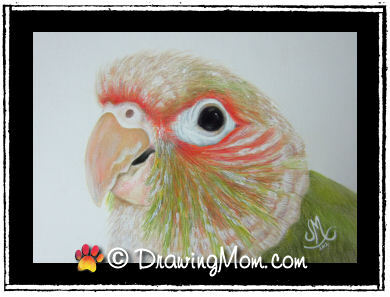 Stay tuned: Visit my Speed Paintings page to see "Parrot" video. 6-3-12. 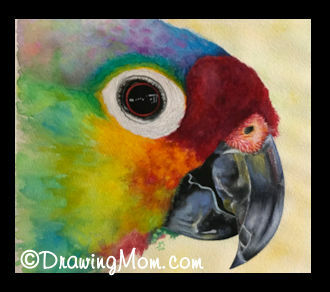 5"x7" Colored Pencils & White Acrylic. Reference photograph by Alex Nolasco. 6-25-12. 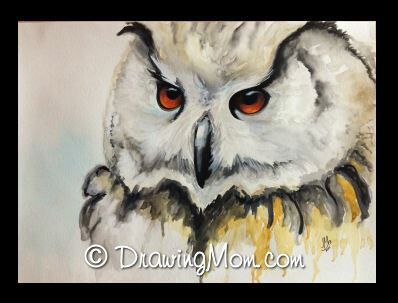 5"x7" Colored Pencils & White Acrylic. 6-27-12. 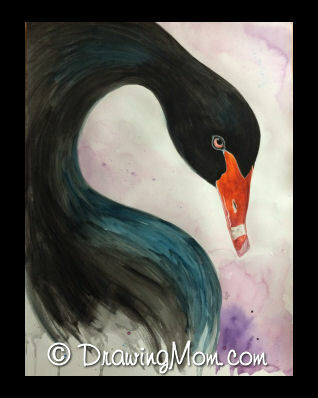 5"x7" Colored Pencils & White Acrylic. "Wow I am very impressed with the result you have done an amazing Job with that picture. 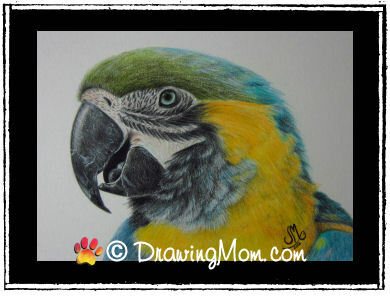 I think your finest parrot drawing. Congratulations on the lovely drawing." Reference photograph by Eduardo Eduardo Echarri. This Blue & Gold had hardly any feathers when he was taken in by 'Wetheriggs Zoo and Animal Sanctuary,' an animal rescue center in the UK -- his owners had neglected him. The rescue center nursed him back to health. Click here for comments from the Sanctuary.